I was pondering about what I should post for today's Fun Friday, and I realized that my feature a week ago was more appropriate for today. Consider this a follow-up. 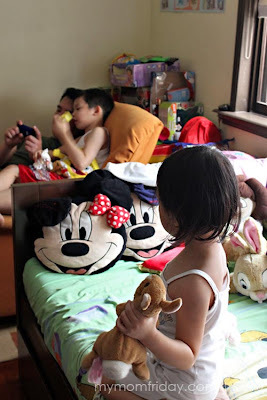 All I have in mind right now is what I did to have fun when I was a kid -- when there were no iPads, no Nintendo, no Playstation, and other cool gadgets and electronics that preoccupy many children of this digital age. You see, in the early 80s, I only used to borrow the Game & Watch and Atari games of my cousins which were all the rage back then. That's the most "high-tech" we could get. But what I enjoyed most was playing "street games" with my friends and cousins like dodge ball, Chinese garter, local game of "patintero" (no direct English translation), water gun fights, and endless rounds of jackstones. My kids are clueless about the games I used to play, so here's what we are able to do to have some fun, without gadgets, at home and outdoors. I really don't have to explain or elaborate the proven benefits of reading books. Reading materials are your portable companion that sparks the imagination. 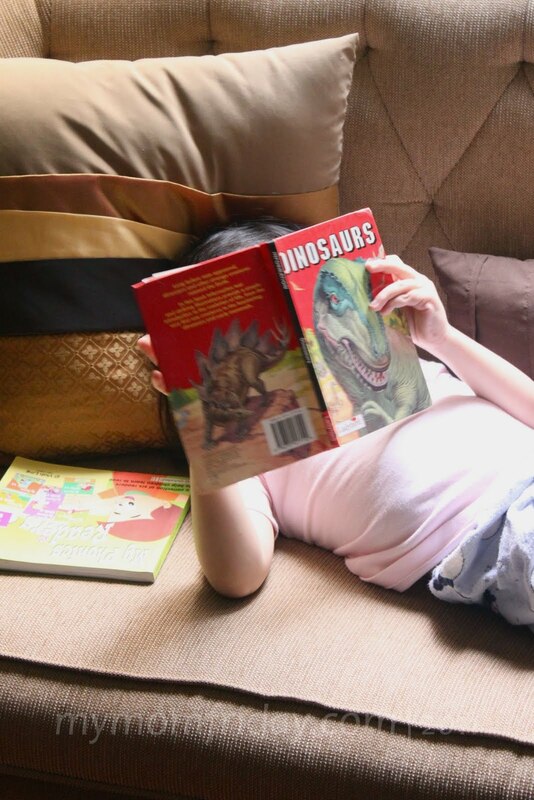 It can relax as well as challenge the mind, improve cognitive and language skills, and bring endless pleasure to the reader. 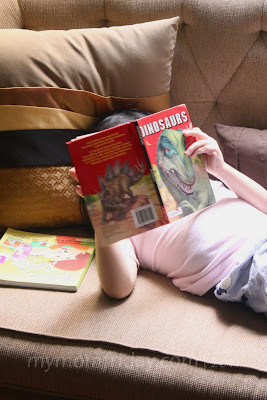 Start with what interests your kids, young and old, and provide books that will inspire them. A visit to the bookstore will excite them even more! For young children, once you start blowing bubbles, they'll go crazy and wants more, more, more! In my younger years, we used to make bubbles by mixing water with pounded gumamela flowers and a bit of shampoo or laundry soap. Then we make a wand using "walis tingting" (broom stick), dip in the sudsy mix and blow! Now that are lots of bubble-making toys. But the easiest and most fun way is during my kids' bath time, which usually gets extended when they're enjoying too much! A collection can be about anything that strikes your fancy, and they don't have to be expensive. My girl has began her collection of plush toys, mostly animals, while my boy already has enough dinosaurs, cars and robots that can fill up a whole shelf! Having a collection is a great way of self-expression and teaching responsibility to care for it. I had a different collection then -- from stamps to scented stationaries, and my treasured collection of Sanrio knick-knacks you can see here. My hubby had a phase of collecting action figures and cars, and you can view his gallery of collectible toys here. Social activities are healthy for anyone. 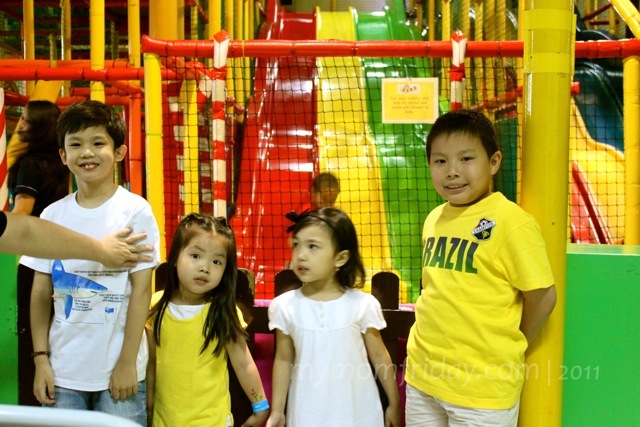 For kids, it always excites them when we set play dates with cousins and friends. Choosing the right venue is key, and as long as you find something common that they will enjoy, then you're guaranteed hours of fun and laughter that will surely leave them wanting for more. A safe neighborhood playground or a kid's play area at a club or entertainment center can be your best bet for active young kids. And while the youngsters are at play, the grown-ups can hang and chill out too! I've been a fan of board and word games ever since I can play Boggle and Monopoly! 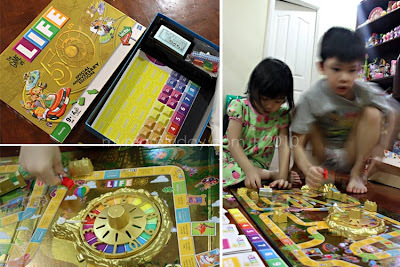 There are hundreds of amazing board games out there that the whole family can choose from and it's proved to be a great bonding and educational activity. You can even start your own family game nights and schedule a date with the whole family or invite friends over for a house party! This will surely keep everyone away from the TV and addicting video games. I've written in the past that caring for a pet (or pets) brings a lot joy to any family. 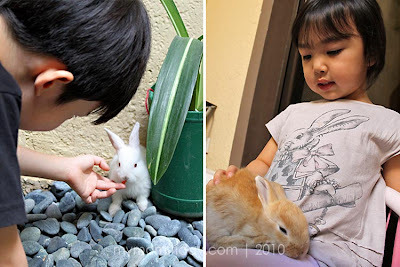 Kids will learn to be responsible in nurturing the pet and will teach them respect and friendship. But having one is also a big responsibility for the children, as well as the adults. Petting, playing, feeding, and even dressing them up is part of the fun of being a pet-owner. These days, I still reminisce those games I used to play especially when I see my own children so engrossed with video games. None of us can escape the influx of these truly amazing gadgets, so we just need to learn to embrace it and manage how we can integrate technology constructively into our daily lives. 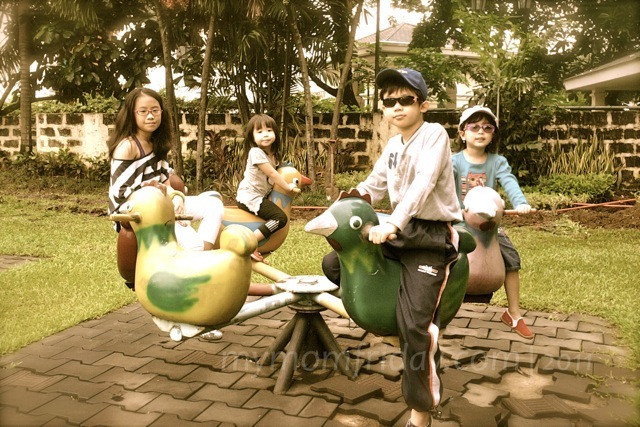 Given that we enjoy having these gadgets at home, it was really a conscious effort for us parents to expose the kids to the organic way -- the old-fashioned way of having fun with playmates, alone, or as a family. What's your idea of old-fashioned fun and play time?